SL Gardel is a tribute to the genial tango singer Carlos Gardel (1890-1935). Gardel was portraited with proverbial slenderness by Natalia Español in SL Gardel. SL Gardel synthezises the most outstanding facets of the “creole trush” (zorzal criollo) through its exclusive icons: his seduction, his tango, his magic, his style. His Buenos Aires. Integrally worked through the typical modulated trace style founded in Buenos Aires tango graphics, the SL Gardel’s imaginery unfolds a singular fan of images-concepts. The tango spirit reflected trough an excellent developement. 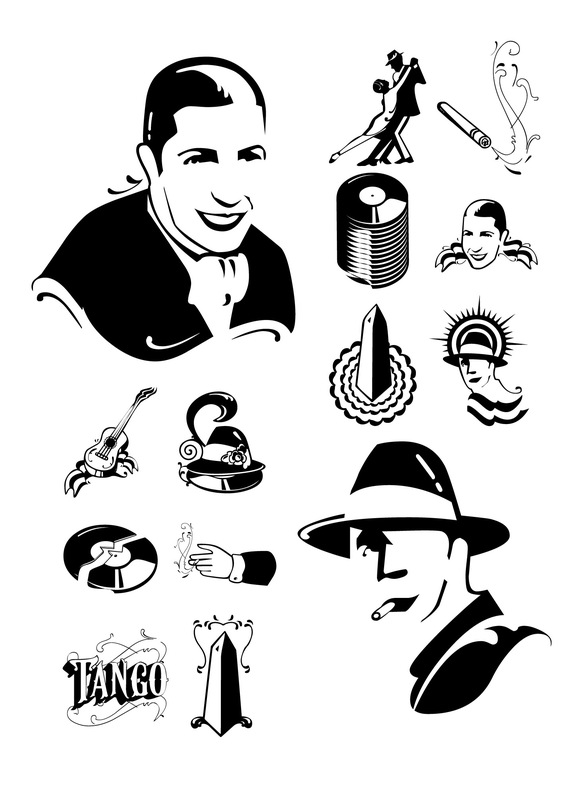 SL Gardel is an original iconographic illustration library in True Type format. SL Gardel takes part of the “Icons of Icons” Gallery, developed by SinergiaLab for Sudtipos.